The 2017 college football season is finally here. For the UConn Huskies, that means a brand new start with Randy Edsall at the helm after a dumpster-fire of a 2016 season under former head coach Bob Diaco. The new season, which starts Thursday night under the bright lights at Rentschler Field against the Holy Cross Crusaders, means a shot at redemption for Edsall, who left the Huskies in 2011 under unusual circumstances prior to a move to Maryland. For the UConn roster, this is their first chance to show the Husky faithful that the team is new and improved (and not nearly as bad as last year’s team). 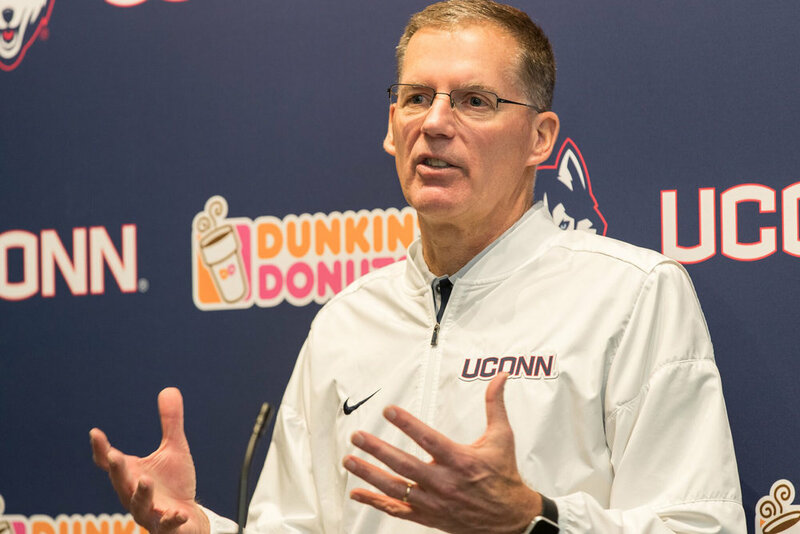 With new coordinators on both sides of the ball and an influx of talent assembled by the coaching staff, UConn has a good opportunity to not only open the season with a win, but perhaps string a few wins together. Improvement must come quickly on offense, where the Huskies ranked among the worst in the nation last year. New coordinator Rhett Lashlee operates the new-look no-huddle offense with a pace likened to that of Oregon from a few years ago, which could break down the FCS Crusaders’ defense if they aren’t conditioned well enough. “Everybody has a bad day, I have them all the time,” Edsall said. “But what you do is put it behind you. I think we’ve progressed offensively and I think we’re going to continue to progress offensively. With young kids it’s tough, but I think they’ll continue to progress. Although the opposing Crusaders finished with a 4-7 record last season it is a team with talent on offense, especially at quarterback with senior Peter Pujals leading the way. Pujals received a medical redshirt last season after an early season-ending injury but is among the career leaders in Holy Cross history at the quarterback position. He is poised and efficient under center in the spread offense and he could cause the Huskies some problems with help from a solid offensive line keeping him safe in the pocket. “[Holy Cross] is a spread team, three wide receivers. [Pujals] is a really good quarterback. Good athletes at running back and wide receiver and a pretty experienced offensive line with three seniors on the line,” Edsall said. While Holy Cross is in the FCS, they aren’t going to go down easy and as many people know, the Huskies have struggled against FCS opposition in the past (see: Towson, Maine). The likes of Pujals and running backs Diquan Walker and Domenic Cozier could very well give the Huskies problems, so they can’t overlook the Crusaders even with a conference matchup against USF looming on the horizon. Edsall has made sure that won’t be an issue.